What About 2021 and beyond? For Christmas 2002 and 2003 I was given a Free Standing Desk Calendar by family members. For Christmas 2004, I decided instead I would use my new printer (Canon i865, highly recommended!) 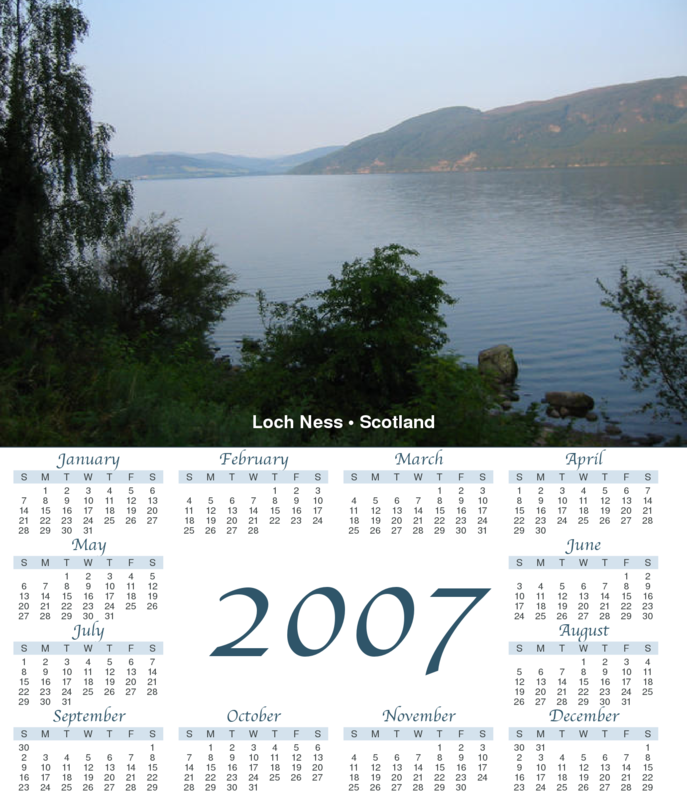 to create my own Desktop Calendars using pictures from my digital cameras (Canon Ixus 430 and Canon Digital Rebel/300D, both also highly recommended). I was very pleased with the results, they turned out better that I ever expected, so I decided to put a page up here describing how to do it. I created the images using Perl and ImageMagick, but I do not really recommend this approach unless you are a keen scripter. 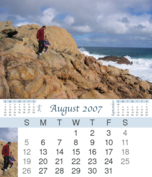 I have provided blank templates at 300dpi for you to use, all you need to do is gather a dozen pictures and scale/cut out a pair of images, one 1380 x 897 and the other 162 x 449, and paste it in to each months calendar and then print them out. As for printing, I recommend using Glossy Photo paper of around 200 g/m2, for example Canon Glossy Photo Paper GP-401 (190 g/m2). For several that I made, I used Canon Photo Paper Plus Glossy PP-101 (270 g/m2), but it is a bit of a pain to cut. Good qality paper may reduce the tendency of the paper to curl over the year. The templates I’ve provided print two calendars to one A4 page, so you’ll need to slice the calendars out and there is not much tolerance. You could jut use a Stanley knife and a metal straight edge, but I used a Carl DC-100 A4 Professional Paper Trimmer which worked well for the job. Finally you need a desktop calendar case. These are very similar to CD cases, but generally CD cases do not open past 180 degrees and so are unsuitable (rumour has it that you can file off a bit of plastic on standard CD cases to make them work). You can get suitably cases in bulk from Fortune Star (12cm calendar case, item code G LC, pack of 200), or individually from PCX (Calendar Case - Large, item code 21185, $0.40 each plus shipping). 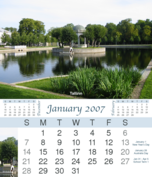 First, download the blank calendar templates. 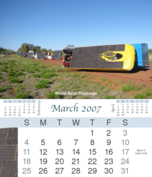 Each are about 2 MB, and consists of a tar.gz or .zip file containing 6 A4 300dpi PNG images, each one containing two calendars with placeholder images at the top (1380 x 897) and side (162 x 449), as well as a seventh image containing a title page. The blank calendar images are licensed under a Creative Commons License. If you wish to use these images for commercial purposes you will need to contact me for permission or licensing. 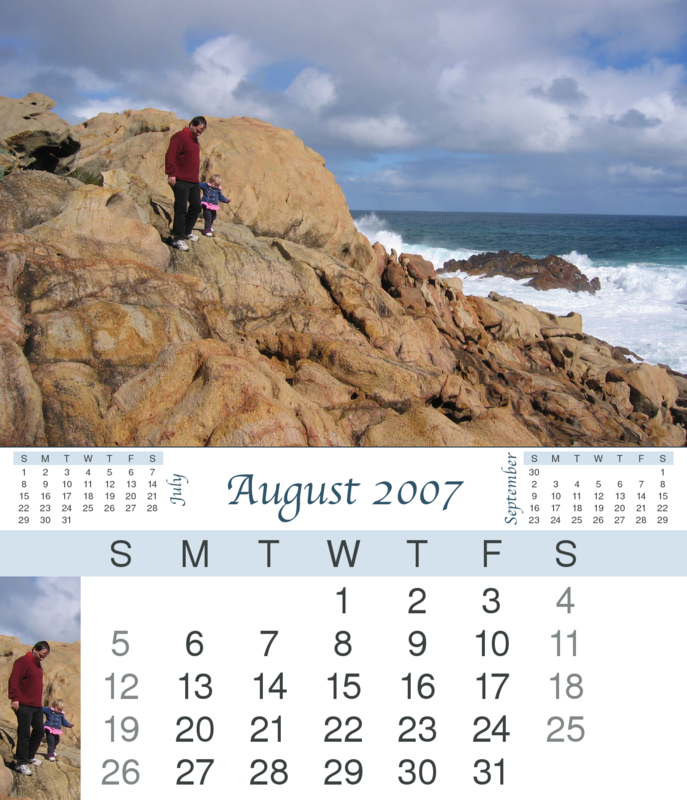 Now for each month, you need to create a 1380 x 897 and 162 x 449 image and paste it over the placeholder. 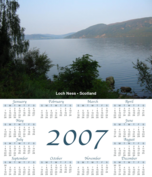 Probably the easiest way to do this is with Acorn, create a new blank image with size 1380 x 897, paste your photograph in as a layer, then position and scale it appropriately, select all and Copy Merged, then paste it over the template area in the blank calendar image. The example calendar images are licensed under a Creative Commons License. If you wish to use these images for commercial purposes you will need to contact me for permission or licensing. The result should be six (seven including the title page if desired) 300dpi images suitable for printing without any scaling. 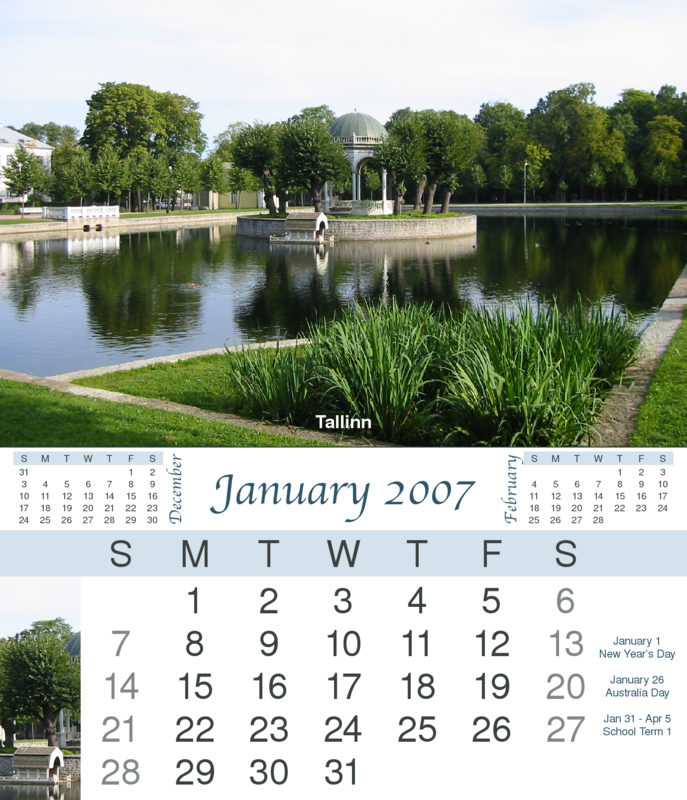 The printed calendars should be 11.75cm x 13.65cm (4.6 x 5.4 inches). Make sure to do a test print and compare it to the size of your calendar case. Originally, I used AppleScript and GraphicConverter. After that, I used Perl and ImageMagick. Finally, I created a Mac Application to accomplish the task. 2017-2020 calendar blanks are now available. If there is continuing interest, I will make the future calendar files available, so let me know if this page is useful to you. © 2016 Peter N Lewis. All Rights Reserved.